AIAC and the Hon. 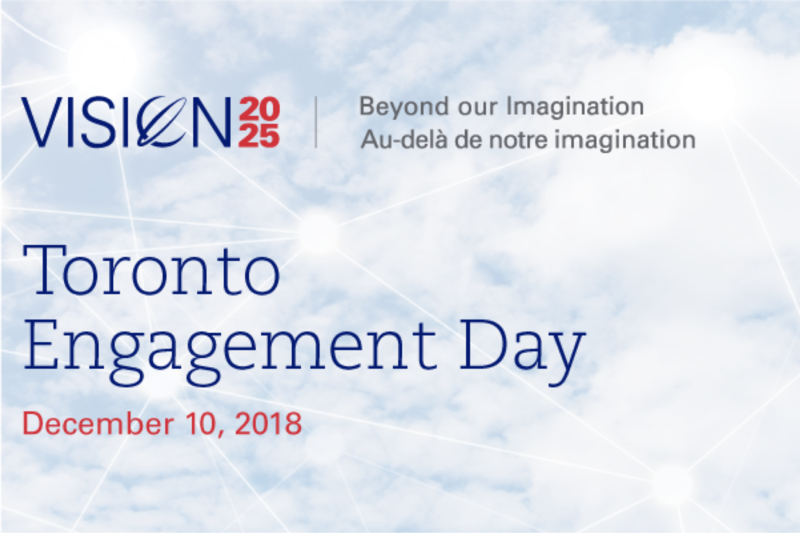 Jean Charest will host an engagement day in Toronto as part of the Vision 2025 initiative, including a luncheon, reception, and a number of roundtables and meetings. OAC is pleased to work with AIAC on this important initiative for our industry and looks forward to your participation. On December 10, 2018, AIAC and the Hon. 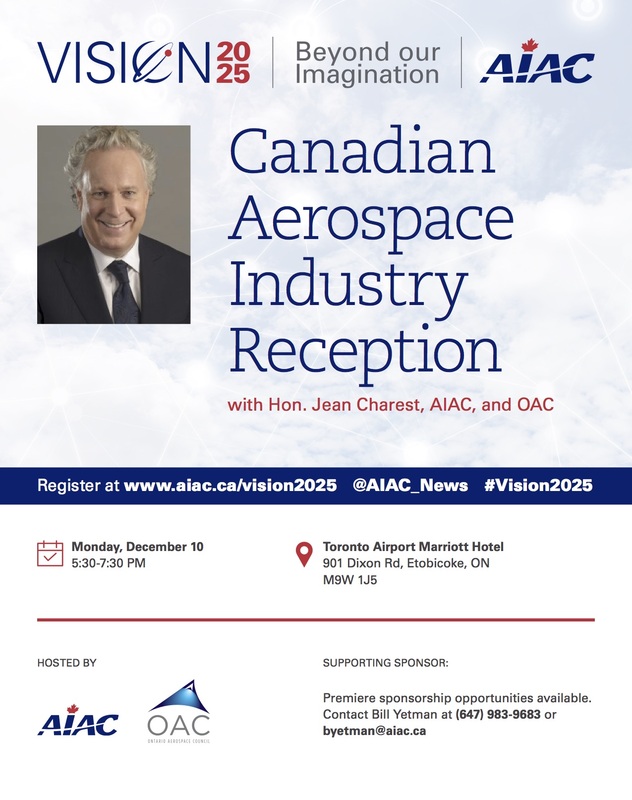 Jean Charest will host an engagement day in Toronto as part of the Vision 2025 initiative, including a luncheon, reception, and a number of roundtables and meetings. OAC is pleased to work with AIAC on this important initiative for our industry and looks forward to your participation on December 10. Join the Hon. 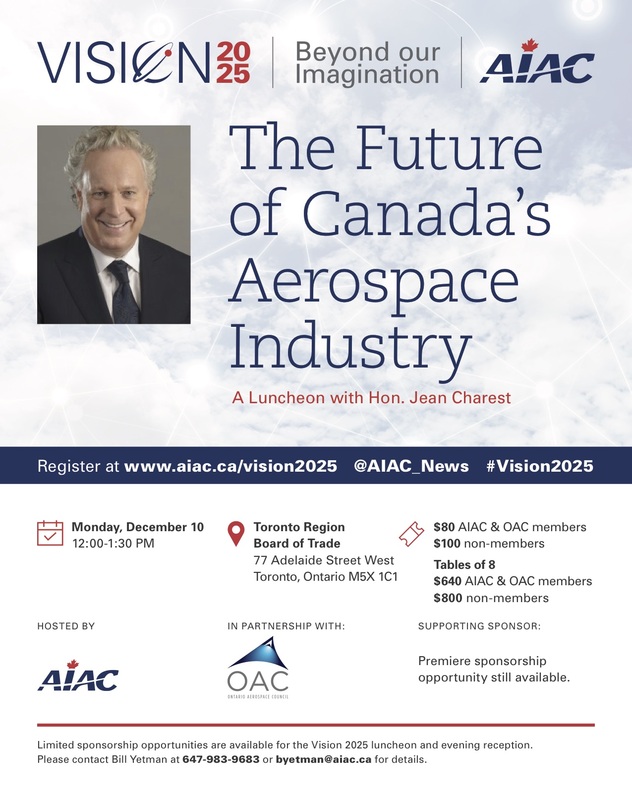 Jean Charest, industry, and members of Toronto's business and education community at a luncheon event hosted by AIAC, in partnership with OAC. AIAC and OAC members are invited to attend an industry reception with Hon. Jean Charest at the Toronto Airport Marriott Hotel.